The World of Warcraft theorycrafting community is incredible. I am a part of that community. There is a massive amount of number crunching and analysis of simulations that can tell us which stats to favor on gear, which talents we should prefer, and even the order in which we should press our buttons for our spell rotations. This research generates conclusions that make up the meat of most gaming guides and advice. The effort that goes into this is impressive. But it’s not always what we say that matters most. It’s how we say it. Players have questions. And while the answers are complex, or at least a little gray, we tend to present them in a binary fashion. One thing is right, everything else is wrong. We don’t always tell the whole story, instead just relating our conclusions. We discourage discussion because “I’ve already done the research and don’t want to explain this… again.” And in the end, we’re discouraging character customization. This is when we start digging into the details… our own little gaming version of Mythbusters. 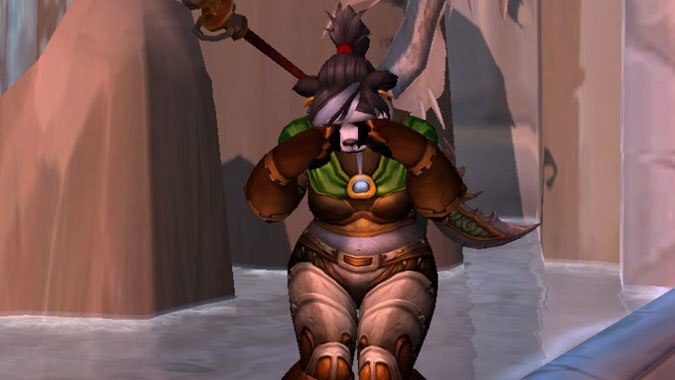 Here’s an example you might remember: I researched some caster trinkets and found that for certain classes, looking into the assumption that Gaze of Sethe was terrible for DPS and should never be used. The logic behind this idea was sound. For example, Moonkin can’t control the laser since it might proc off any Moonfire or Starfall. And if they can’t control it, it can’t be aimed, so it will rarely hit more than one mob at a time, making is useless. That sounds very reasonable. But when I analyzed actual logs, it didn’t hold up. I found that the Gaze of Sethe really isn’t the dramatic DPS loss that ‘they’ say it is. And in many fights, it’s better! Another in-depth topic we dug into is the overwhelming support for the Fury Warrior talent Sudden Death. However, we found that for quite a lot of Fury Warriors, Furious Strikes simulates higher damage than Sudden Death for single target fights like Zakuun. And when it isn’t outright better, it’s only about 1% worse. (Simulation details can be found on this forum post.) But if you advise people to take anything other than Sudden Death, you would likely get laughed at, yelled at, or be bombarded with not-so-creative insults that will make you want to unplug your computer from the internet. @AskMrRobot what's popular isn't always what's right! These types of discoveries lead me to believe we are unnecessarily limiting choices and thus discouraging character customization. Most of the choices we are given in game are relatively balanced. While we do a lot of cool research, I’m not claiming to be completely innocent here. We present default stat weights to players in Mr. Robot’s optimization tool to help people get started — but we allow players to customize weights, too. However, if I take an honest look at our part in this problem, I’d have to say that by offering a default we are also suggesting that one way to gear is better than another. And sometimes we adjust trinket estimations by popular demand. It’s a hard line to walk: if we don’t give in to popular demand, ‘everyone’ runs around saying we are wrong. If we give in (which we do for a small portion of requests), we become part of the problem. How big is this problem? How do different types of advice affect people’s in-game choices and interactions? To answer this, I did what I do best: gathered and analyzed data. I wanted to see how the presentation of different facts would affect people’s decisions. I surveyed over 2,000 people and asked them one main question, with three different variations. Each respondent was randomly shown one variation of the question, which allowed me to evaluate the effect each statement had on their decision. These results lead me to believe that we (as a player base) are unnecessarily discouraging character customization. As you can see, simply presenting people with some data that shows a talent is relatively balanced, they are much more willing to let the player keep the talent that was more fun. (I’m still digging into why 20% still said that it isn’t acceptable.) But showing the other statements leads roughly 50% of people to feel keeping the fun talent is not okay. This is very true and this is the attitude I like to spread. Let’s also look at two different responses to the “Guides” statement. While I agree with this person’s point of view, there’s one glaring thing that jumps out at me: “I know to be competitive you have to choose the cookie cutter layout.” This very reasonable person believes this to be a fact, when it is not. That is disheartening because it’s a widespread belief that isn’t true. Ouch! To be fair, since this person saw the “Guide” category and likely doesn’t know that the talents are so close in DPS. But this illustrates the point I am trying to make… by presenting only part of the story, or by exaggerating how good one talent is over another, we spread misinformation. These beliefs become black and white facts, removing fun from in-game choices. I’m still categorizing all of the answers to “Why?” and finding some interesting trends, which I’ll tell you about when I get through all of the responses. In the meantime, have some fun and enjoy this little word trick: If I get 100% on a test, I could claim I am the best test-taker in the class. If Jaina also got a 100%, she can also claim she is the best. Neither of us is lying, because two things can be the best if they tie. But it sure is misleading, because “best” tends to imply one single winner. So in conclusion, Furious Strikes is the best talent choice. (update: if you are a guide writer or theorycrafter and think we can change this all for the better, as a group, email me: feedback -at- askmrrobot.com and we’ll make magic happen).